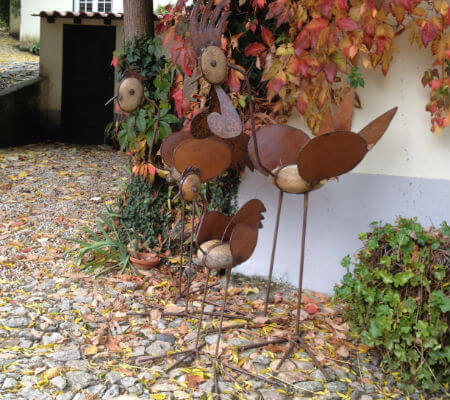 In a market where supply is increasingly getting higher and the quality is a common ground for the wines of Portugal, it’s becoming increasingly complicated to keep up pace with all the producers, brands or projects. That’s why there’s no reason to be surprised when we see novelties at every corner, every shelf or glass served by friends. There is so much to know and to be known that it is impossible to get to everywhere or attain such a comprehensive knowledge to say with a solid ground, I know everything. In my case I write about this project whose name I had only heard of, and even though I had already read about it I still hadn’t had the opportunity to have their wines in my glass. I look at the world of wine as one looks at the starry sky, it is impossible to know or count all the stars in the sky, with wine is the same. In this case the project has a curious name but also able to captivate attention, hits our ear when we hear Lua Cheia em Vinhas Velhas (Full Moon in Old Vines). 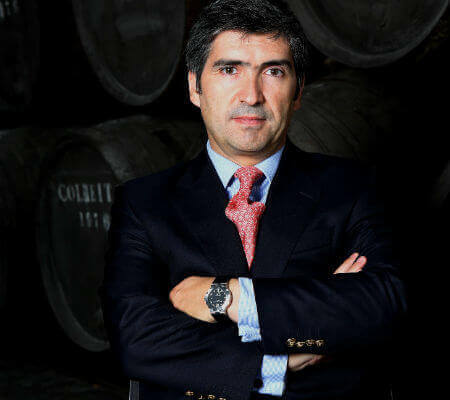 The project, holding the same name, follows the passionate connection that the three founders – João Silva e Sousa, Francisco Baptista e Manuel Dias – maintain with the Douro for more than two decades now. After being surprised for so many years by this unique wine-growing region, in 2009 came the time for them to show their vision on Douro wines. 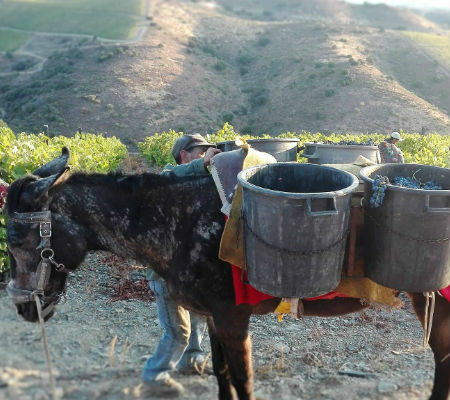 They went from buying the grapes to having their own vineyard, about 10 hectares of vineyards with the purchase of Quinta do Bronze in Vale Mendiz. 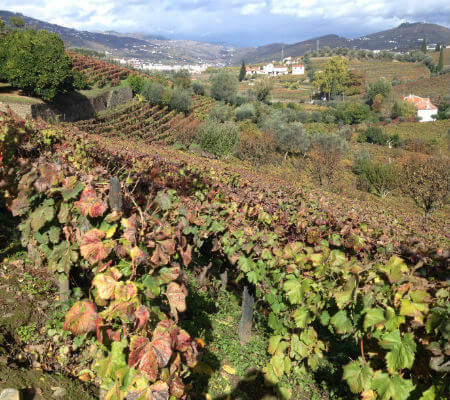 Although they have already expanded to other regions it’s here in the Douro that we will focus, as well as on the new vintages that have just hit the market. Interestingly, only the red Reserva Especial and the white Reserva were subjected to wood, all the other wines only met stainless steel’s cold. Something that has to be highlighted is the excellent price/quality of all wines tasted. Lua Cheia em Vinhas Velhas white 2015: Made from old vines, very fragrant and fresh, with notes of orchard fruits and flowers, mineral background in a very harmonious set. 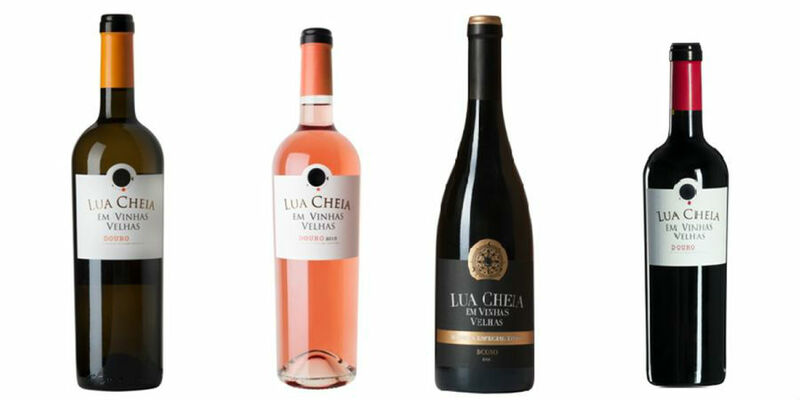 Lua Cheia em Vinhas Velhas Rosé 2015: Good aromatic intensity showing a rosé wine centered on fresh and ripe fruit (strawberry, raspberry). 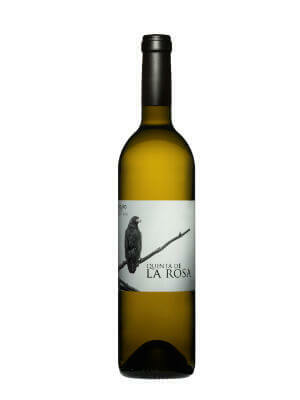 It is complemented by a really discreet floral and some spices in a young and balanced set. Lua Cheia em Vinhas Velhas red 2014: A red wine that breaths Douro, fresh and nicely scented with the juicy and sweet tooth fruit standing out in the foreground. A slight vegetal aroma invoking the rockrose as its usual in the reds of the region. 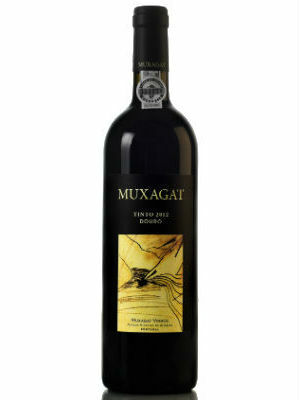 Medium body with tannins giving a good ending dryness in a wine that like the others shows a very gastronomic profile. Lua Cheia em Vinhas Velhas Reserva Especial 2014: Was entitled to 12 months in French oak barrels. Great set harmony with the fruit (blackcurrant, strawberry, raspberry) emerging, well ripen and fresh, showing good complexity with floral notes, light cocoa, very elegantly. Captivating and very tasty, it’s one of those wines that is hard not to like of. Quinta do Crasto, located in the heart of the Douro between Régua and Pinhão, is owned by the family of Leonor and Jorge Roquette for over a century. 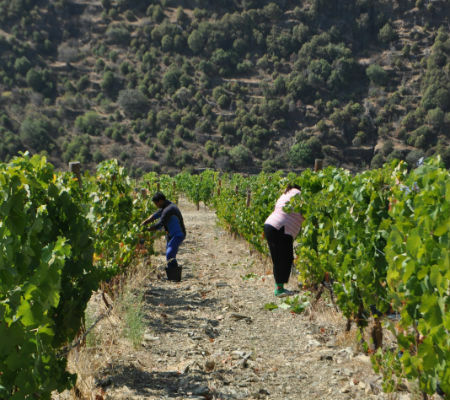 70 hectares of a total of 130 have vineyards planted, which rise from the riverbank up to 600m attitude. 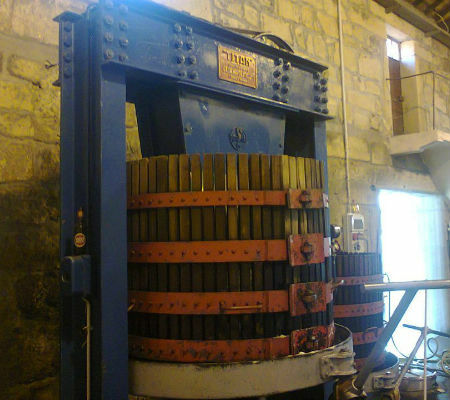 Besides the production of DOC Douro wines and Port wines, they also produces olive oil. 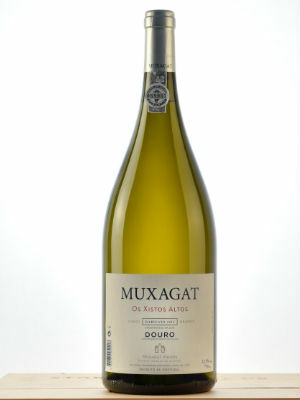 The passion for work of the winemakers as well as all members of the team, along with heavy investments in cutting-edge equipment allows a concept that combines respect for tradition and at the same time, lifelong learning, improvement and innovation, which projected Quinta do Crasto in domestic and international markets. The history of Quinta do Crasto is rich and vast, starting with the first references to this Quinta dating back to 1615. The Crasto name derives from the Latin word Castrum that means Roman fort. All this and more in the video below. An already very acclaimed fine dining establishment that has constantly evolved, year after year, providing a very consistent, rigorous, and steady history, whether in culinary services or choices of food. It started as a smart restoration of part of an old ralway warehouse in Régua, which was close to being demolished. Besides the creation of a huge high-ceiling room and beautiful timberwork, a lot of glass was added to let the natural light in along with the view of the neighbouring Douro river. On the other side we see a stop for the restless trains. A mezzanine hosts the meal room, and in the lower floor, a long, broad room with a table that stretches out almost filling the room, and big majestic lights. The walls are completely coated in cupboards holding the hundreds of references of wine brands, which compose one of the best wine lists in Douro. 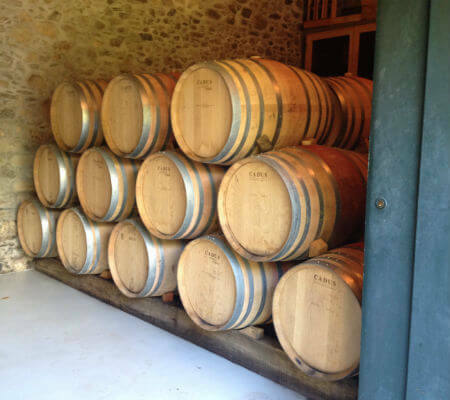 They haldle their wine properly – with a lot of care. We can enjoy a glass of wine as we read a magazine or a paper, although we may go for a meal instead. A meeting point, perhaps for a chat, and with wine for company. Outside, an old transport carriage has been adapted and now makes a delightful terrace when the weather is good, bringing out the view of the train station. Upstairs, the tables are always expertly laid, impeccable; the service is clearly above-average, availing of able and insightful professionals to guide us through a consistent and very well-interpreted cuisine. Douro deserves such a restaurant. On our last visit, we had a peaceful, high-quality meal, accompanied of several wines served by the glass and chosen by the head waiter. 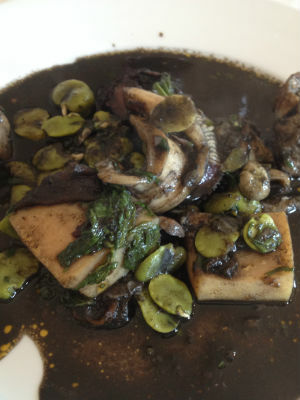 Regional bread, olive oil and olive oil with balsamic vinegar were brought to the table. We began with a Vértice White 2010, which had been decanted; excellent, evolved, very elegant, creamy – a great wine. The years it spent in the bottle have only done it good. After that came a partridge and penny-bun stew: extremely creamy, well connected, the refined poultry meat bonded well with the intense and dry flavours of the penny-bun mushrooms – excelent. The wine matched it perfectly. 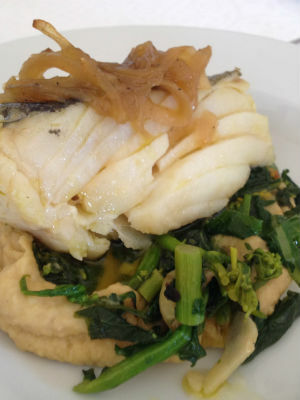 Then followed some codfish with almond crust and prawn brandade. Au point, the brandade; very well connected and providing the softness of the shrimp; the flaked codfish and the detail of the almond crust were very successful. 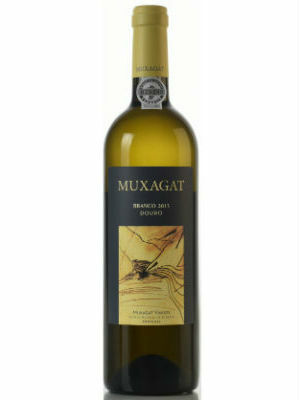 We drank the Muxagat Xistos Altos White 2012, which was very mineral, elegant, intense, dry, slightly evolved, with beautiful acidity. It really did very well. In contrast, still with the cod, we tried a red Encosta do Bocho Reserva 2009, which was a lovely surprise. The nose was full of fruit and notes of vanilla, slightly floral, and very complex. Beautiful volume, full-bodied, excellent acidity contrasting with ripe tannins that were well matched with the wood. With intense dark fruit, this is a powerful yet balanced wine. The year 2009 still manages to surprise me. For dessert, we were given a volcano of pumpkin with queijo da serra ice cream (a cheese from Serra da Estrela mountain). A true explosion of flavours, this reinterpretation of the sophisticated version of the classic connection of queijo da serra with pumpkin jam. It was superbly accompanied by Casa de Santa Eufémia Reserva Branco Velho (white) Port, which is over 30 years old. A crystal-clear ambar, exuberant nose, intense nuts, elegance, tangerine peal, very refreshing. Beautiful volume, intense, vibrant acidity, dry, walnuts and hazelnuts, a lot of freshness, complexity, greedy; an excellent Port wine. Gil, the father, Laura, the mother, and Gil, the son – they are Casa Amarela and Casa Amarela is them! 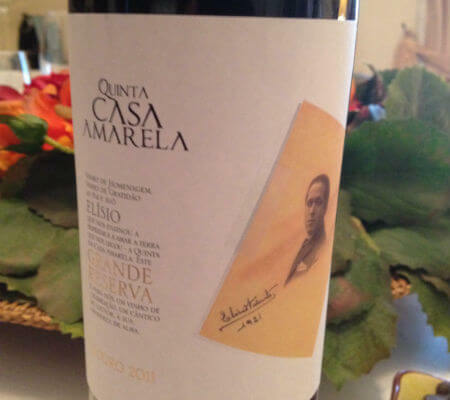 They have been building on this project, a life devoted to the Douro, to Quinta da Casa Amarela [estate] and to their wines. Wines made with passion, great passion, which they share with clients and friends, with simplicity and without formalities, while maintaining a level of quality that they never give up. And rigth they are! They take their wines all around the country as well as to other countries. This work consists of persistence: a lot of hours at the wheel or inside aeroplanes, a lot of commented tastings, but also a lot of satisfied customers. 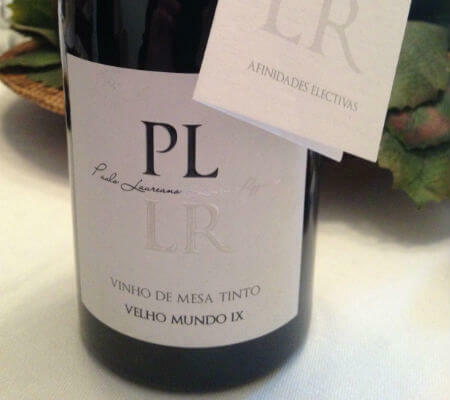 In addition, they have partnerships with colleagues who also produce wines from other regions: the first partnership was made with Paulo Laureano and his Alentejo nectars; then with Paulo rodrigues from Quinta do Regueiro and Alvarinho, from Melgaço; finally, with Sir Cliff Richard and his Algarvian wines. They did all this thanks to the help of oenologist Jean-Hughes Gros, a Frenchman who also fell in love with Douro and decided to stick around and make very good wines. Visiting this farm is always a pleasure; for years we have been treated as family. The beautiful house is covered in virgin vines, which are now slowly shifting into Autumn hues, in the new cask room, wood and stone make a perfect match, and in the old vat room, the classical music in the background conveys a touch of magic and intimacy. The wines are certainly grateful. Outside, the huge tree is already blending with the walls of the monumental and authoritarian-looking house. Further up the hill, the vines rest as they await a well-earned winter break. But we were there to taste the wines, knowing that Laura Regueiro would not let us go without a homemade meal like only she can prepare. 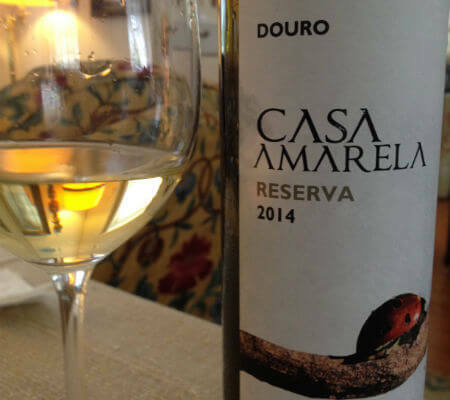 Once in the comfort of the living room, we began with the white Casa Amarela Reserva 2014, full of very balanced freshness and acidity, notes of very elegant white-pulp fruits, persistent and connecting very well with cheese gratin on toast and a delicious pepper jam. 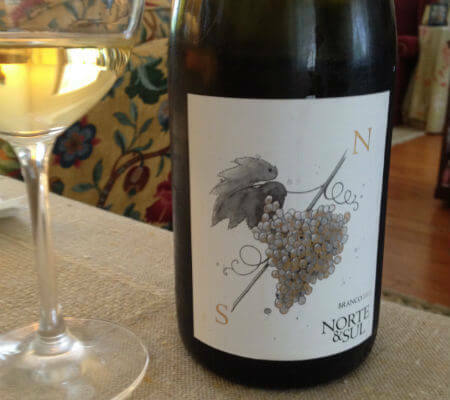 Then, Norte Sul 2013, also with freshness, exotic, youthful, very pleasant, simple yet structured; a pleasant surprise. 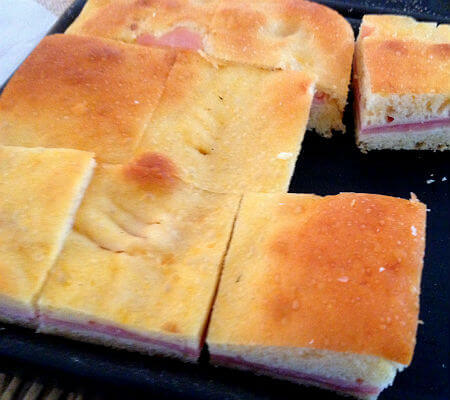 Then, were enjoyed a few slices of bola de carne [meat cake], very typical of the region; soft and delicious. We finished the appetisers with another partnership white, the II Terroir XIV, in which the minerality of the Alvarinho matches the elegance and freshness of the Douro white very well. Intense, very elegant, with excellent volume on the mouth; a gastronomic wine. 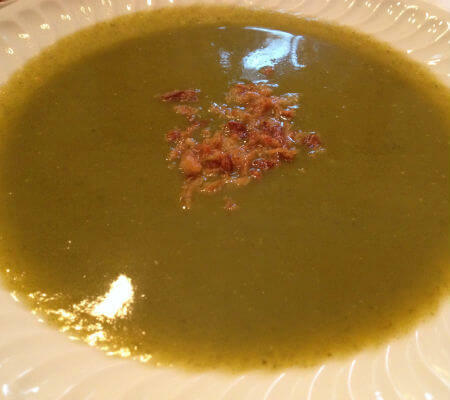 Already at the table, we were delighted with a Swiss chard soup with onion crunch, very flavourful and served quite hot. 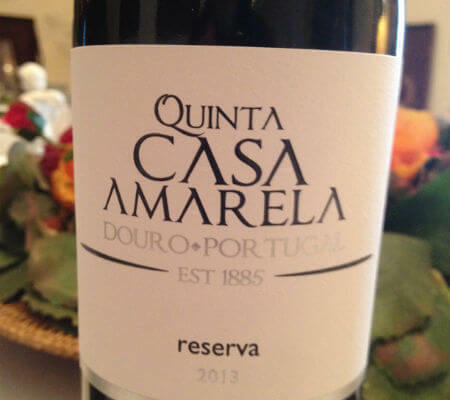 In the meantime, the Casa Amarela Reserva Tinto 2013 was opened. It was full of floral aromas, red fruits, intense but very elegant, with notes of smoke, very refreshing, silky, with its tannins already well-matched, and a delicious finish. 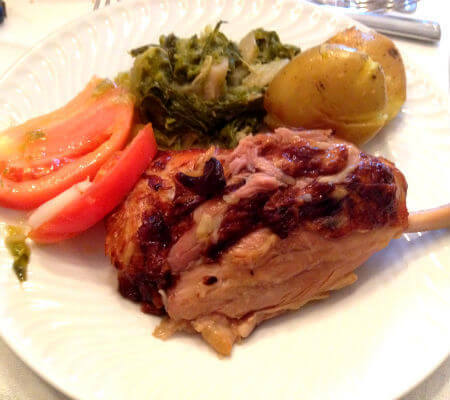 Then, a superb oven-roast pork knee; very well seasoned, melting in our mouths, with “punched” potatoes [literally punched roast potatoes] and sautéed cabbage, a few slices of very ripe tomato and plump onion, well seasoned. Delicious! For our glasses, the red PL-LR IX; an excellent connection made with reds of two regions that are so far apart and yet so close. Complex aromas, silky, light notes of smoke and some ripe dark fruit. 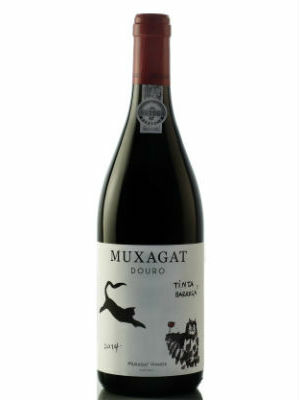 On the mouth, it has excellent volume, it’s meaty, intense, powerful, with very balanced acidity and a lasting finish. While still savouring the meat course, we enjoyed the Casa Amarela Grande Reserva red 2011, a beautiful tribute to grandpa Elísio. Of an incredible year, this is a distinct wine; very elegant, quaint, full of aromatic complexity, with very good acidity and a full mouth with a long finish. It will still last many years in the bottle… if it makes it! 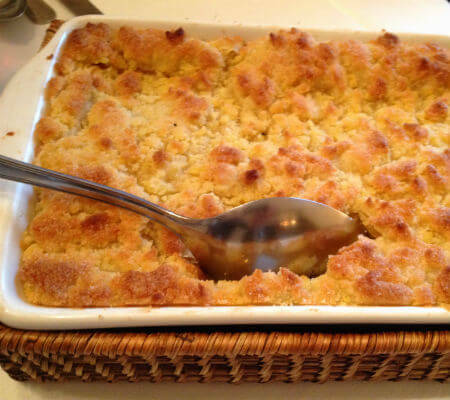 Finally, dessert: first, the apple crumble, which is compulsory in this house; then, a slice of medium matured cheese accompanied by white grapes and little toasts. Firstly, we opened the Porto Tawny 10 Anos, with intense aromas of nuts, notes of honey, quince, excellent acidity, and a lot of freshness. To go with the cheese, we had the first Vintage sold by this house, and precisely the 2011! With very ripe dark fruit, notes of chocolate, slightly balsamic, fat, full, powerful, but elegant at the same time; a beautiful representation of the current best modern Ports being produced. A beautiful meal, as always, among good people, and in the company of characterful wines. During the Portuguese Colonial War, the army was supplied with bottled wine. 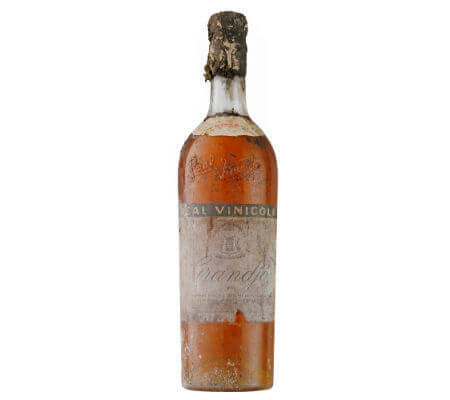 “Back then, selling wine by the glass was forbidden, because the state suspected that this was an opportunity to taint the wine.” In 1965, a scandal exploded when people started selling vinho a martelo [wine “by the hammer” or counterfeit wine]. This beverage is “made by fermenting sugar and adding water and food colouring”, according to Vasco d’Avillez. White or red? Full! “Most people had no idea what a good wine was, and they drank what they were used to, whether it was a washed-out red or an oxidised and heavy white”, explains Vasco d’Avillez. Although taverns in Lisbon and in Porto had favourite areas of origin (but not designated origins), they sold wines from different locations. Wine mostly came from the tavern governor’s hometown. The Douro region was first outlined in 1756. The company that established this is still around, and is known as Real Companhia Velha. 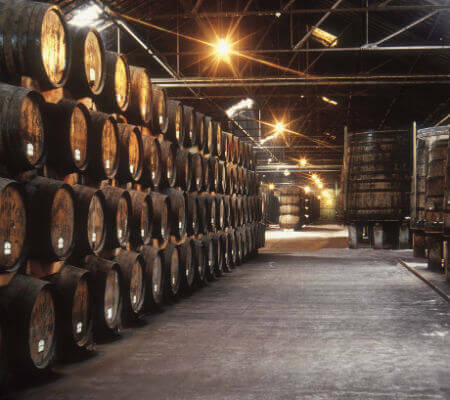 For centuries, Port Wine was the real deal; unfortified wines had no special status. This company owns iconic Douro brands. 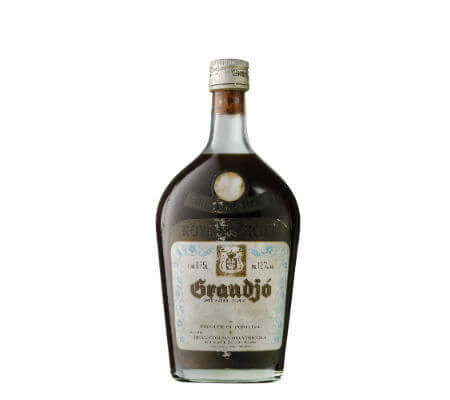 In 1912, Grandjó was created especially for late-harvest wines. Only in the 60s did the first wines without Botrytis Cinerea appear in response to the demand for lighter wines. Evel was “born” in 1913 – evel is light [“leve”] written backwards. 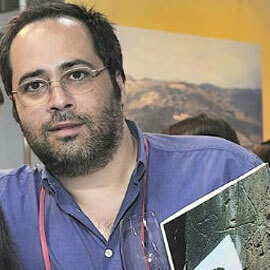 “The idea was to create an elegant, soft and light wine”, explains Pedro Silva Reis, the head of Real Companhia Velha. “The first wines corresponded to those characteristics, much like nowadays: elegant, soft and, in a way, light. Only a few brands were around in those times and only a small part of the wine was bottled and labelled. The brand became more well-known in the 30s and 40s, which is how one can explain why it took a few years before it was considered truly successful.” In the following two decades, Evel made its way to the table of the head of state; from then onwards, labels included a note that said “Supplier to the Presidency of the Republic”. Real Companhia Velha also owns the opposite of the Evel brand. Porca de Murça, created in 1928, was a tribute to a pre-historic monument found in a square of Murça, a small village. “Strong, full-bodied red wines. They only started producing whites a few years later. The brand achieved high levels of fame between the 40s and 60s. 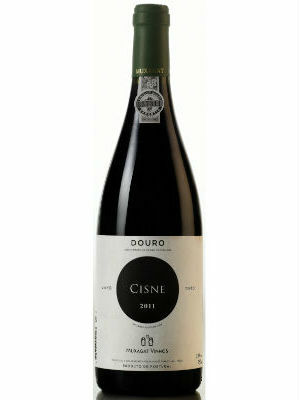 It has recently enjoyed moments of glory again, as it became the best-selling Douro brand in the world”, states Pedro Silva Reis. 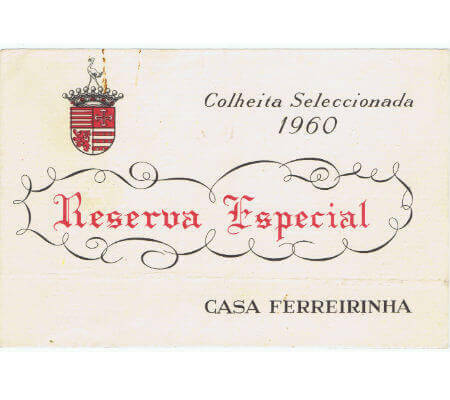 When on the Douro subject, two wines have to be mentioned, which many consider to be two of the best in Portugal: Barca Velha (1952) and Ferreirinha Reserva Especial (1960). Sogrape has established that wines of a stronger storing potential must be called Barca Velha [“old boat”], and those whose longevity is expected to be lower must be called Ferreirinha Reserva Especial [special reserve]. The spirit and style never change. 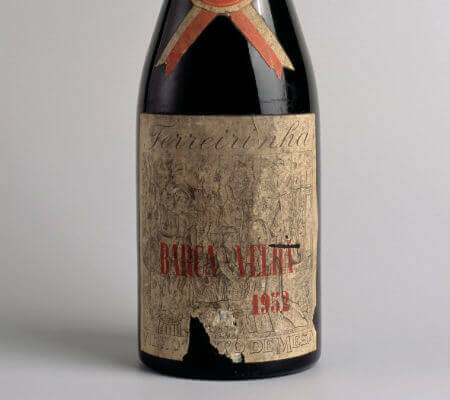 So far, 17 Barca Velha and 16 Ferreirinha Reserva Especial have been released (between 1989 and 1987, the law forbade using the adjective especial). 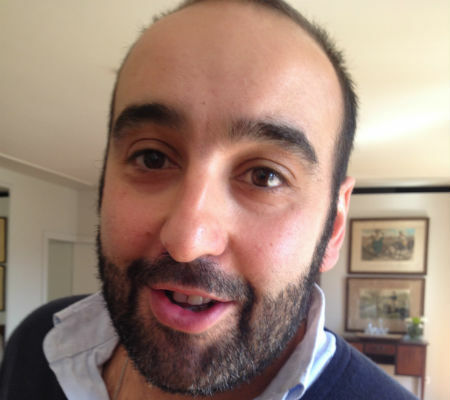 In 2000, Lisbon-based IT entrepreneur Abílio Tavares da Silva started looking for a vineyard. He was always dead set on the Douro. But he was fussy. It took five years to find the right site. Today, he has a bird’s eye view of the Douro, especially Sandeman’s top vineyard, Quinta do Seixo, which is located on the opposite bank of the river Torto from his own slice of Douro pie, Foz Torto. 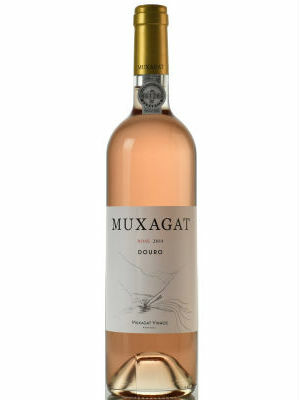 Foz means mouth and Foz Torto’s 14 hectares of steeply terraced vineyards tumble down towards the Douro river. It’s not only because the vertigo-inducing view from the top (at 320m) down to the bottom (at 72m) that Tavares da Silva feels on top of the world. More to the point, he is realising the passion which lead him to sell his businesses, re-locate his family in the Douro and study winemaking (he has a degree in Oenology from the University of Trás-os-Montes e Alto Douro). That said, Tavares da Silva has re-planted some 80% of the vineyard from scratch (three hectares of 85 year old vines remain). He explains “the vineyard was in bad shape because it belonged to a family who were embroiled in a court dispute for 10 years.” Suffice to say his new plantings include Rufete, also Tinta Francisca, which the food lover describes as “condiments” to the Touriga Nacional and Alicante Bouschet which he has also planted. Tavares da Silva is just as passionate about the vegetables he has planted at Foz Torto as he is about his vines. Telling me, “I truly believe in vineyards to be enjoyed and visited like a garden, not just used to produce wine,” he showed me strawberries, onions, beans, potatoes, fruit and olive trees. Such is his messianic zeal about the flavour intensity of the rucola which he proffered for me to taste that he (and I) forgot we were about to taste the wines. 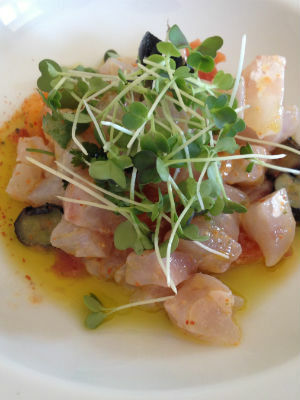 The most peppery (hot as horseradish) rucola I’ve ever tasted proves to be my palate’s undoing. Fortunately, Tavares da Silva obligingly sent me fresh samples to taste at home in London! The Bergqvist Family arrived in Portugal to produce paper pulp from pinewood. They settled in Albergaria da Serra, beside River Caima, near Constância upon Tagus River. Later on they started using Eucalyptus wood instead. Swedish engineer, D.E. Bergqvist, soon found out where Oporto town was and eventually got married to Claire Feueheerd, who came from a family in the Port wine business since 1815. Quinta de La Rosa, near Pinhão, was offered as a present to the object of the expert’s affection. 1815 is an important year, because it was when The Battle of Waterloo took place, and with it Napoleon´s Empire ended. 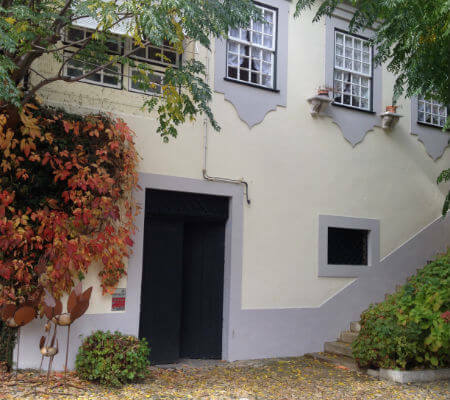 The ancestor Feueheerd came to Oporto because he needed to start a new life, and once he had supported the French Emperor while a politician in the hanseatic free town of Bremen. Coincidently, he walked into a country that had fought against France and he settled in a town where British people had a strong influence over business. 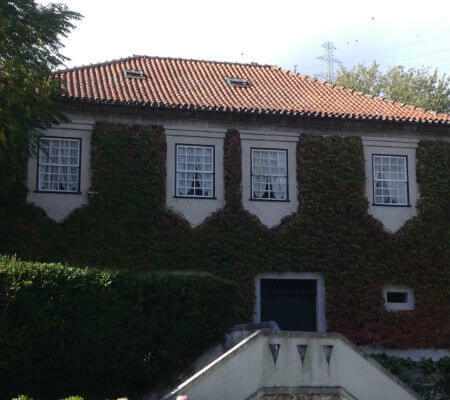 The property was called Quinta dos Bateiros and on the other side was the Quinta das Bateiras. Of course a present must be unique, mostly as far as its name is concerned. So why La Rosa? A property in Douro Region with a Castilian name? 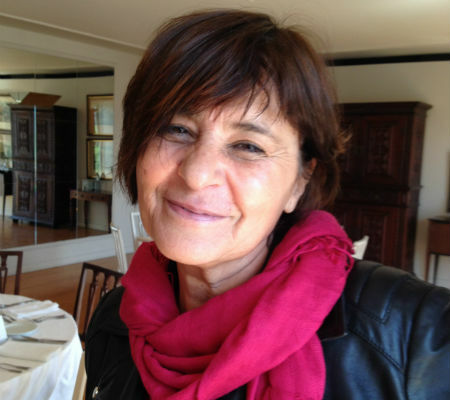 Especially considering the different origins of the family… Sophia Bergqvist’s father, who runs the business nowadays, had the copyrights of a brand of sherry called La Rosa. I must also make clear that the article «La» was of general use in Portuguese for centuries like in the famous nau (Portuguese sailing ship) «Flor de La Mar», which sank in 1512 carrying a huge treasure with it. That time is far away in the past and it would take hours to recollect. 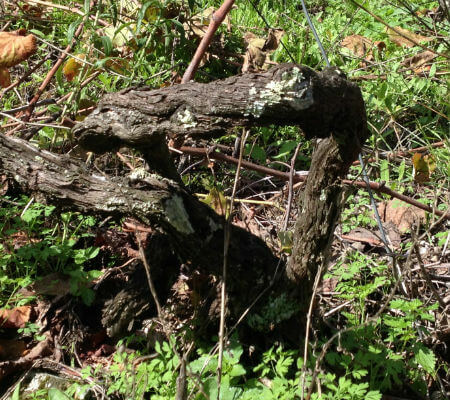 The more recent story of Quinta de La Rosa has a landmark, in 1988, when it produced its first wine. Before that, the Bergqvists used to sell their grapes to the Sandeman Family – a business agreement started in 1938. 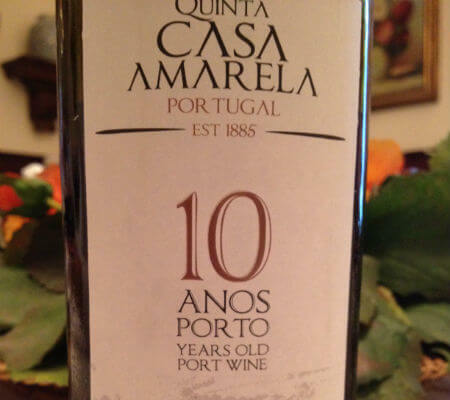 Only in 1985 did they begin preparing Port wine in the Douro region; it was no longer compulsory to make it in Gaia. 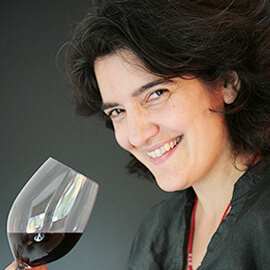 However, “the first «real» Port wine dates back to 1991”, says Sophia Bergqvist. Quinta de La Rosa is very steep and has different levels of exposure to the sun. The combination of the different factors – light, temperature and altitude – adds to the complexity of its wines. 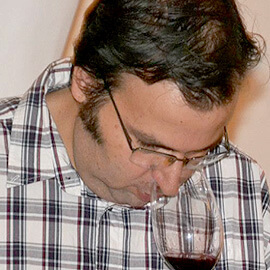 Jorge Moreira, the oenologist, assures that the wines there can’t be but very concentrated because it’s nature’s way. In my opinion, although the whites prove to be of high quality, the reds have an advantage. Quinta da La Rosa white 2014 translates into minerality, notes of green lemon peels and not very ripe pear. 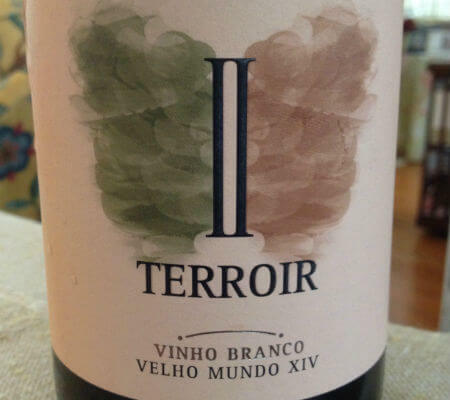 This lot is composed of Gouveio, Rabigato, Malvasia, Viosinho and Códega de Larinho. Quinta de La Rosa white Reserva 2014 is more powerful and food-friendly. It’s really dry and refreshing, overcoming the lemon and tangerine aromas with notes of vanilla. In this wine the mineral characteristic is less obvious. The varieties are the same as in the previous reserve. 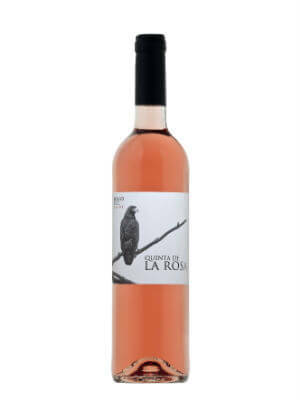 Quinta de La Rosa Rosé 2014 let me down. 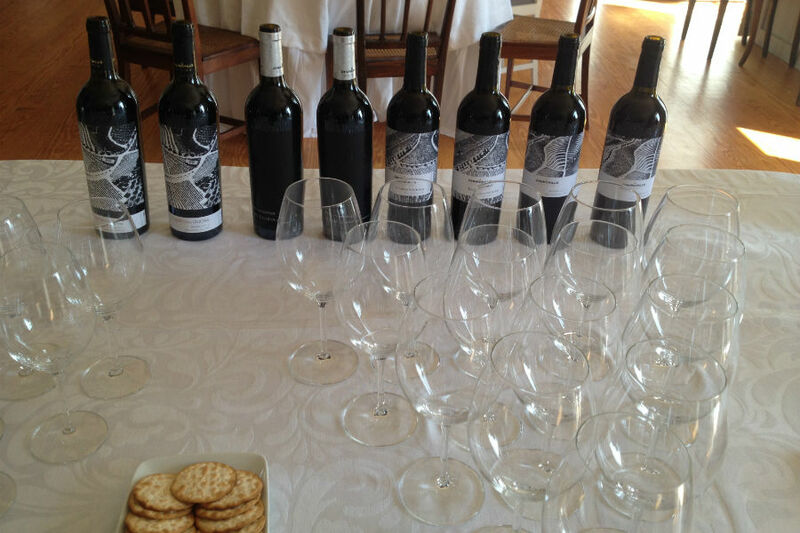 The total amount of grapes – Touriga Nacional, Touriga Franca, Tinta Barroca and Tinta Roriz didn’t reflect the Douro region. Although it isn’t heavy, its 13,5% of alcohol make it unsuitable for lunch meals. The first wines I came across in Quinta de La Rosa were the reds, and I fell in love straight away. I think they grow a few steps above the whites and another good few above the rosé. 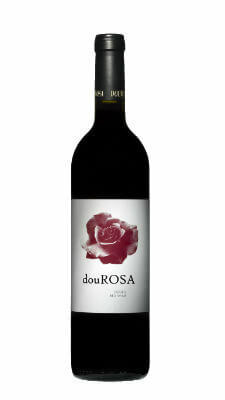 douRosa red 2013 is my favourite portrait of Douro with schist soil and dried wild herbs. It’s dry yet not austere, and made of Touriga Nacional, Touriga Franca, Tinta Barroca and Tinta Roriz. 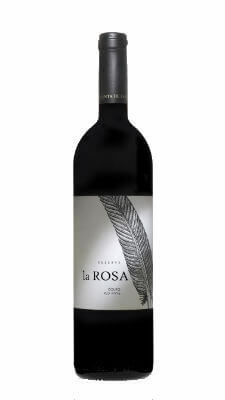 Tinta de La Rosa red 2012 shares identifying features with the previous wine plus carob, mint and white pepper. It lasts long on the mouth. A beautiful wine. 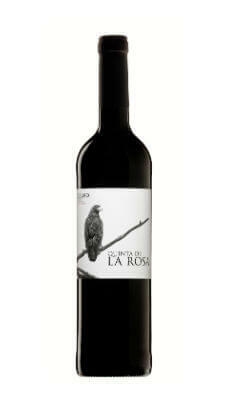 A great wine – really great – is La Rosa Reserva Red 2012. It has everything you can expect from the region, from the minerality of its schist to the cherries, raspberries, strawberry jam, dark sweets and After Eight chocolates. Very pleasant tannins, it’s as soft as velvet down your throat. It’s refreshing… and exactly 14,5% alcohol. Almost entirely Touriga Nacional with a certain percentage of Touriga Franca. 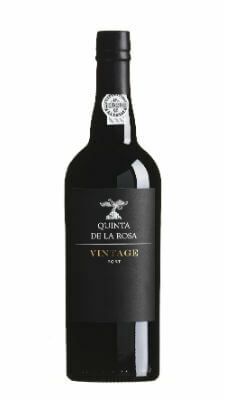 Quinta de La Rosa Port Vintage 2012 is still closed; you can already sense carob, cherry and a bouquet of floral notes, although not very clearly. It’s buttery and long lasting. Give it a few years.